Masonry wall construction consists of an assembly of several parts – concrete masonry units (CMU), mortar, grout, etc. Based on design requirements, steel reinforcement may or may not be included within the wall. For either situation, continuity of the masonry wall is recommended to tie the full masonry structure together. 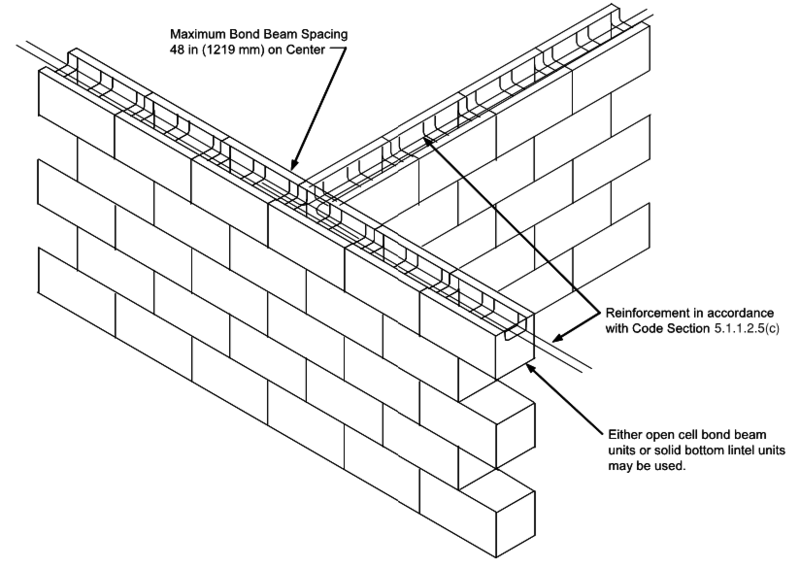 Bond beams are a very common method to achieve this desired continuity to allow all masonry wall segments to work together as a single unit. 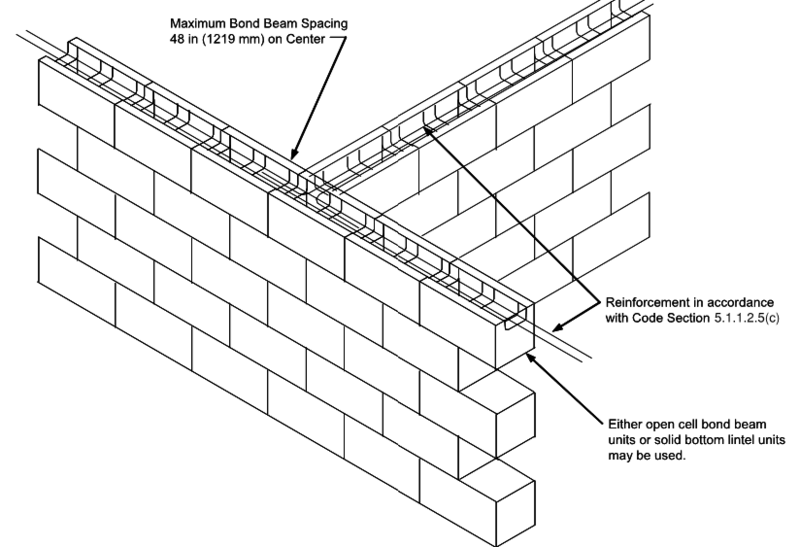 This insight will discuss the use and detailing of bond beams in masonry walls.